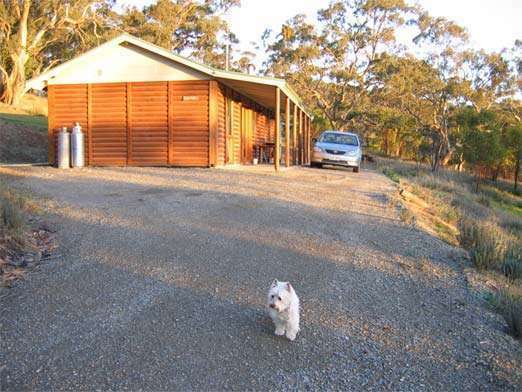 Mollys Chase at Sevenhill near Clare offers country style log cabin B&B accommodation on over 50 acres of bush-covered hills among the beautiful surroundings of South Australias Clare Valley. 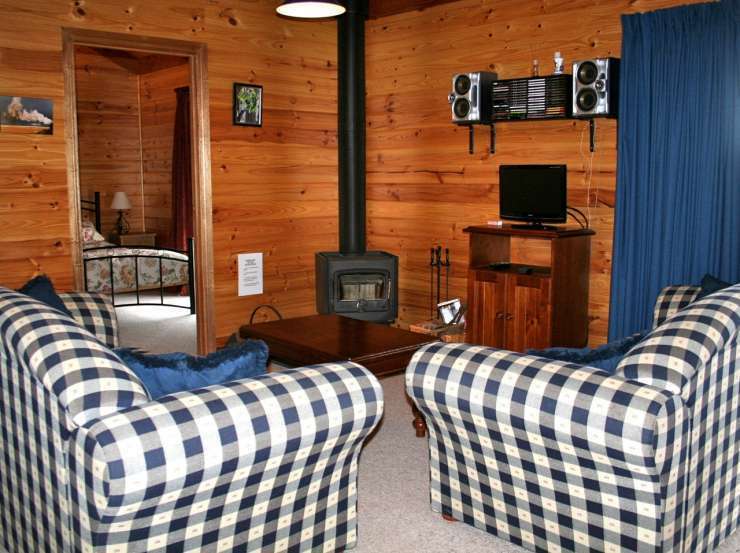 There are two cabins, each with two queen size bedrooms, living area with log slow combustion stove, r/c air conditioning, tv, DVD, hifi, bathroom with double spa and a generous kitchen. 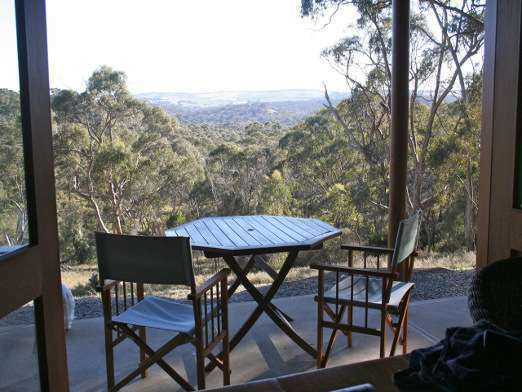 They sit amid 50 acres of gum-studded Clare Valley scenery. 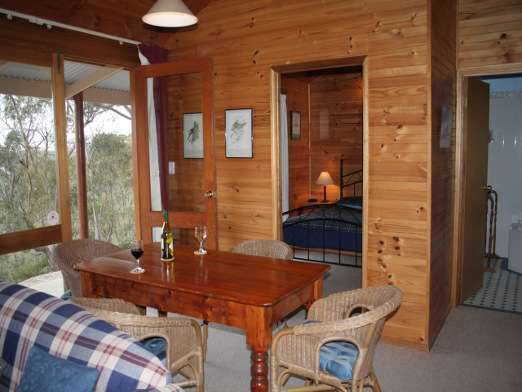 The cabins are out of sight and sound of the each other, so maintaining peace and privacy. 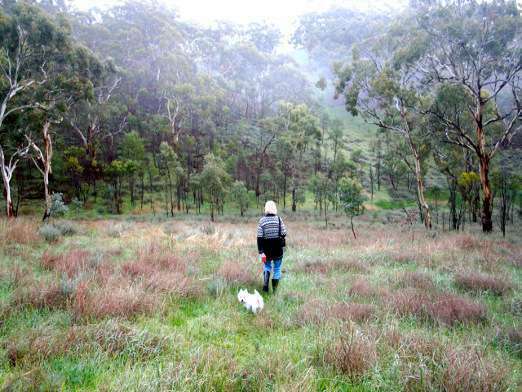 The land is regularly visited by kangaroos and feral deer and several species of birds nest in our old trees. Well behaved dogs are welcome to run around...off lead!!!... 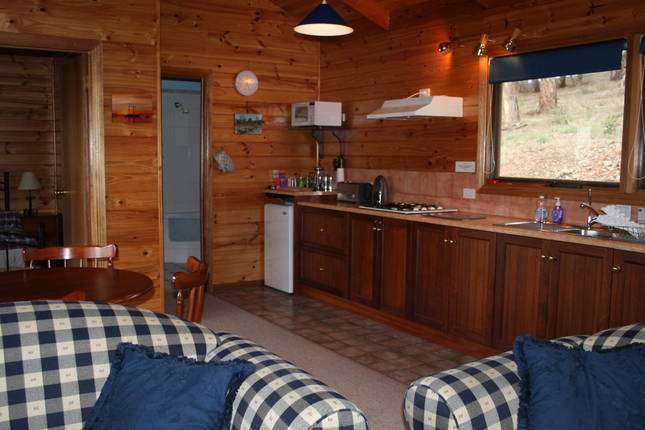 and are welcome inside the cabins. The accommodation includes provision of linen and light breakfast provisions. Cooked breakfast packs can be arranged with prior notice. 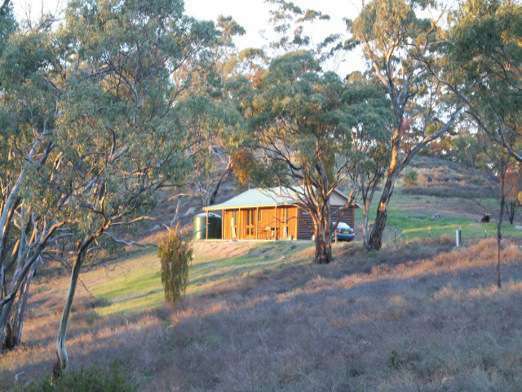 There are several of the Clare Valley's best wineries nearby and a great pub at Sevenhill. 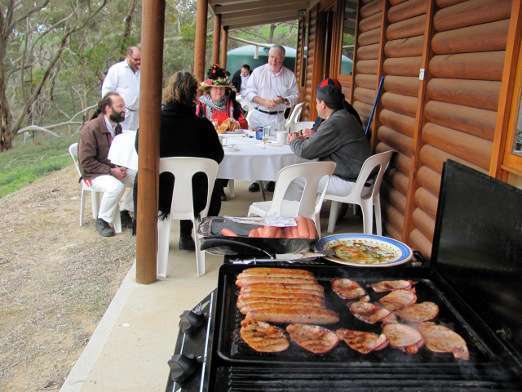 We can arrange cycles, the Riesling and Rattler trails offer around 60km of former railway track.